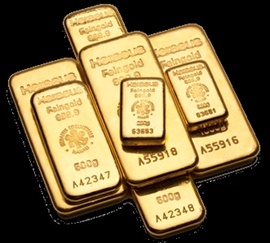 You purchase physical bars of precious metals – gold, silver, platinum, palladium - the choice is yours. Buy once or schedule periodic purchases. Manage your precious metal assets online. If you purchase part of a large bar, you will reap the benefits of a lower price even if you buy just 1 gram. Your bars will be allocated to you by numbers so that you have the option to check your precious metals in your safe online any time. The purchased precious metal will be stored directly in a high security safe by an independent third party safe operator. 100% of the value is insured against the risks of theft and robbery. Regular audits will be performed by independent third parties. An inventory list is published daily online. The suppliers of the bars are LBMA certified manufacturers who emboss their bars with numbers. We sell only newly cast bars of precious metals that come with a certificate of authenticity issued by the manufacturer. Full buy-back guarantee for all precious metals stored in the safe. Sell your bars any time you need to and get your money back.